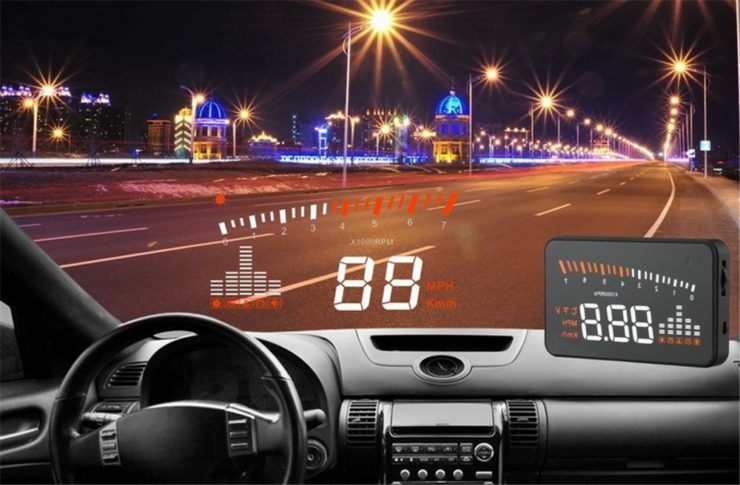 Get This Heads Up Display For Your Car and Eliminate Distractions | OhGizmo! By Aiza Coronado on 05/15/17 • Leave a comment! Did you know that distracted driving is one of the top causes of road accidents? One way to eliminate road distractions is by switching to heads up displays for your car. A heads up display is a device that projects important car information on your windshield so you don’t have to take your eyes off the road. The Ideapro X5 HUD is one of these. Here are what it can do. The comprehensive display projects information like battery voltage, water temperature, low voltage alarm, high temperature alarm, speed alarm, car speed (which you can freely switch from kph to mph). The display is in multi-color, making it easier to read. Thanks to its nano-technology, unwanted reflections and glares are not present. No eye squinting in the middle of the road. You can also adjust the brightness according to your preference. The display works with Honda, Toyota, Mercedes Benz, Lexus, Peugeot, BMW, Ford, Nissan, Volkswagen, Audi, Chrysler, Dodge, Jeep, Infiniti, and more. If your car has onboard automatic diagnostic system, chances are, it is highly compatible. You can get the Ideapro X5 HUD for only $30.99 instead of $31.99 here. It’s the lowest price anywhere!